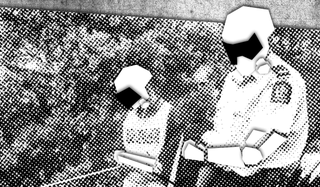 Misspent Youth is a tabletop RPG about young people fighting against authority. Unfortunately, it has a lot of rules, many of which get in the way of the freedom that serves as its core. Misspent Youth seems like it should be open ended. Two to four players make characters, called Young Offenders, and another plays the bad guy, the Authority. The Authority acts as game master, guiding the other players through role play scenes. The rules for the game allow for authority figures to be as small as a school bully or as large as capitalism. In my playthrough with two friends, we quickly landed on a scenario we liked, and the creation system for Young Offenders and the Authority helped solidify it quickly. We wanted something light and funny, so we made our Authority a long-term substitute teacher whom the Young Offenders called Weird Mike. Authorities need to have Systems of Control that allow them to oppress Young Offenders and Exploits that allow Young Offenders to fight back. When I read the rule book, these requirements seemed too broad, but in play it allows the Authority’s hold over the characters to feel unique to your world. For us, it turned out that while Weird Mike had a draconian grading policy that allowed him to dock grades for minor infractions, he also had a secret online past that our Young Offenders could use to embarrass him. We had a lot of fun coming up with Weird Mike. Which brings us to actually playing the game. It’s messy. There are a lot of interesting things going on, especially in combat encounters, called Struggles. They’re not necessary fights, but they’re opportunities for Young Offenders to push back against the Authority and its agents. Our first Struggle tasked the hacker and his friend, the high school quarterback, to get away with talking in class in front of the hall monitor. At the beginning of the Struggle, the Authority claims two numbers between two and twelve, and on each turn the Young Offenders roll two six-sided dice and claim whatever number those dice add up to. If they land on an unclaimed number, they survive that turn but must continue to roll, saying which conviction they use to keep going and describing how. If they land on a number claimed by themselves or another Young Offender, they win and describe how they used that conviction to win. If they land on a number claimed by the Authority, the Authority wins, unless a Young Offender sells out a conviction, which turns it into something else as this character grows up and lets go of part of their youth. Sneakiness will turn into untrustworthiness, because basically you became a snitch in order to win against the Authority. Playing the Struggles was as enjoyable as making characters, because it’s just a loose framework to build a story with. The problem is, there’s a lot of stuff you need to do in order to get to the Struggle, and it becomes very tedious. Each play session is called an episode, and each episode is split up into scenes. The kinds of scenes you will have are the same each episode, and they all follow the same arc. You have a scene that presents the theme for the episode, the characters push against the Authority, they’ll feel like they won, then there’s a complication, and then there’s another dustup, and then there’s a scene that allows for the dust to settle. The game is very specific that each episode follows that structure. In each scene, you’re presented with even more structure in order to set up what the Struggle is—you need to say who is present, what they’re doing, and describe the first five seconds of what’s happening. Then, you have to do some free role play, to further set up the scene. As we did this I kept thinking, “can we just get to the Struggle already?” Afterward, one of the players told me that he felt like the gameplay dragged. I understand that in order to tell the kinds of stories that Misspent Youth wants to tell, with high stakes and dramatic upheavals, you need to set those stakes. But after creating an Authority we found compelling, we all felt like the stakes were already there. Why did we need to keep talking about them? The sheer amount of tasks to tick off before we launched into what felt like a natural place for a Struggle seemed excessive. The hacker and the high school quarterback were ready to take on Weird Mike—as game master, I felt like I was forcing players to talk endlessly about the stakes of the world that we thought was already well defined. The design of Misspent Youth’s playbook is meant to look like a zine, and it features photos of punks and rebels behind the text. The ethos it’s trying to evoke is one of youthful abandon and a desire for freedom. I wanted the game to feel that free, but, like our Young Offenders, I kept running into arcane rules. If I were to play again, I’d probably toss out some of the scene requirements or have fewer scenes required in an episode for the role play to feel more natural. Playing Misspent Youth felt like a struggle against its own rules. It’s a game about struggle, but its themes would be more clear if it got out of players’ ways.